Joan Chelimo, the world's fourth-fastest women's half marathoner, is ready to go the distance. Joan Chelimo's story is a humble narrative of physical hustle. Back then, living among farms dotted with cattle, running involved a mile barefoot on a grass path to the nearby river. As a child, she would fill up to 20 liters, or more than five gallons, of water in a plastic bucket that she'd then strap onto her back with a rope before walking home. Twice a day. Chelimo has since taken on the role of the world's fourth-fastest women's half-marathoner, capable of clocking 1:05:04, which she ran when she claimed victory at the Prague Half Marathon in 2018. Growing up in the remote village of Kipkabus, about 180 miles northwest of Nairobi, Kenya, she's always craved the seemingly unattainable. The dreams no else in her line of sight seemed to be dreaming. The 28-year-old has more to give. Chelimo's appearance in Japan's largest road race -- the Tokyo Marathon on March 3 -- part of the World Marathon Majors, was a taste of what's to come. She clocked in at 2:26:24, taking eighth place for women. But for Chelimo, who once made and sold charcoal door-to-door to support her running habit, this is just the beginning. Fourteen years of running have shaped the stride of Chelimo's 5-foot-4, 110-pound lithe body. Although she never imagined the full marathon would fall into her wheelhouse. Running was simply Chelimo's way of life. The mud and khaki-colored dry grass hut she shared with her parents, three younger sisters and brother was absent of running water. The family relied on Chelimo, the eldest child, to get it from the river and also to run two miles to the forest to gather wood needed to boil the water so it could be safe to drink. "The routine in my village was after you finish school you get married and have kids," she said. "I wanted to know about the world and go to other countries. I wanted another life." Chelimo's mother was a primary school teacher, which helped with education fees, and her uncles paid a portion of her tuition. 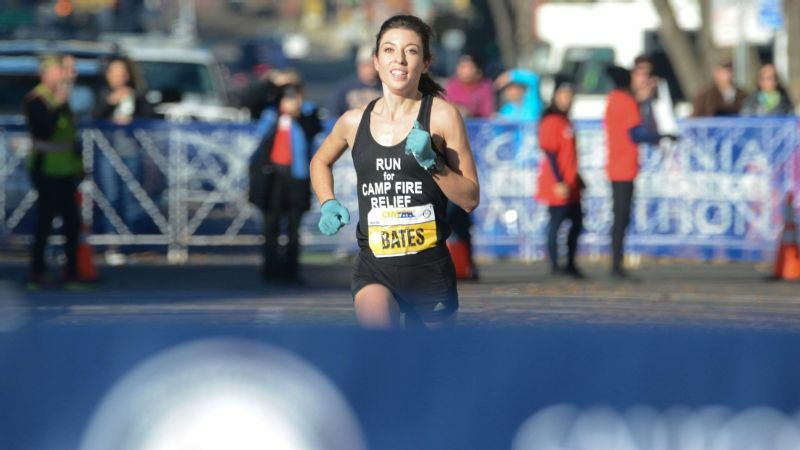 She began recreationally running at her high school at age 14. Around this time, it struck her that school and sport could perhaps improve her circumstances. She was the only girl in her village that ran competitively, Chelimo recalled. "This girl is crazy," villagers murmured. She chose to ignore their words by getting up as early as 4 a.m., retreating to the forest to avoid judgmental gazes. Sometimes she'd run alone late at night, cloaked by darkness. 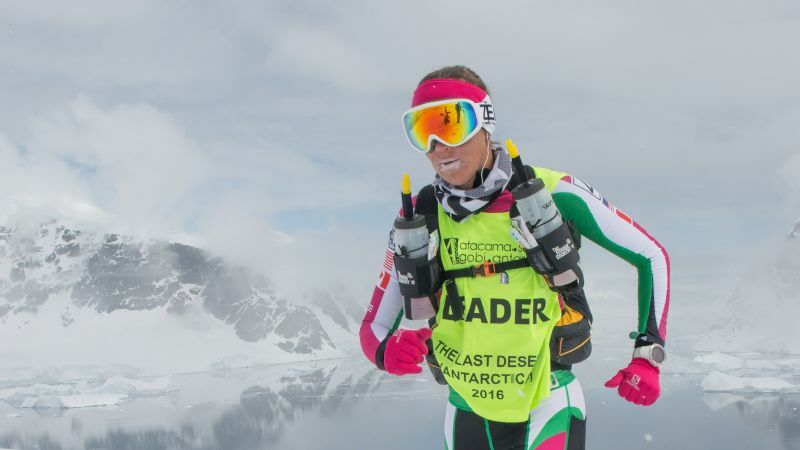 For a while she cared what villagers spoke about her, until she began to win races. "Then I didn't," Chelimo said. "When I started getting good, everybody shut up and wanted to be close to me." By the end of high school, and after becoming a regional champ in the 1500-meter, Chelimo was offered a full scholarship to Texas Tech in the United States, where she wanted to run and study information technology. Her parents couldn't afford the fees for the Test of English as a Foreign Language (TOEFL) or the SAT required for admission -- or the passport needed to enter the country. Chelimo's American dream -- a modern life like on television, full of washing machines, running water and smartphones -- was put on hold. 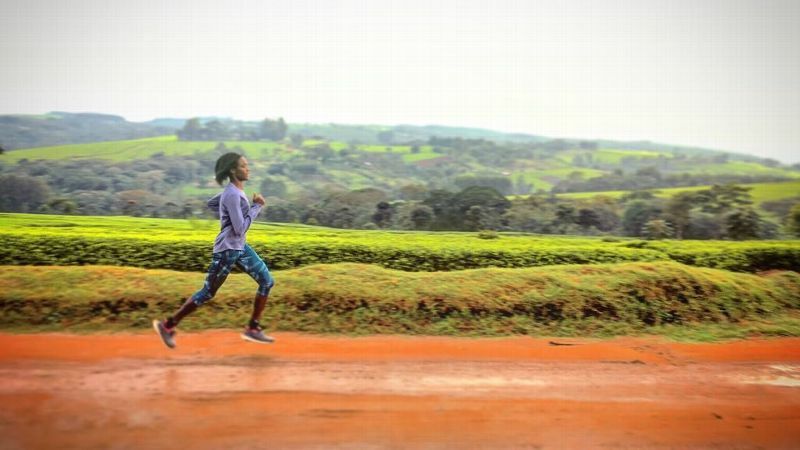 Chelimo running on a tea plantation in Iten, Kenya. 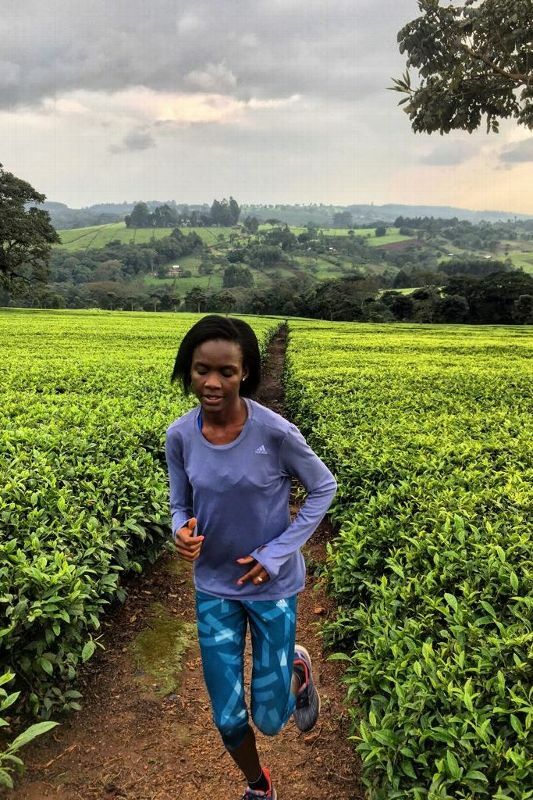 Her backup was Strowbag, a scholarship-based training camp in Kaptagat, Kenya, for up-and-coming runners. Chelimo said the camp's $100 fee was still too much for her family. So she lived separately with non-scholarship runners in what she describes as a "small, very ugly house," similar to the hut she grew up in. It cost roughly $5 a month -- a demanding expense she afforded by selling charcoal. "It was the only thing I could do to survive," Chelimo said. "People [came] to know me as the charcoal dealer." After training with fellow camp members all morning, she'd then trek to the nearby Kaptagat Forest with a housemate and scavenge for a log, sometimes as heavy as 65 pounds. The two would carry it back together, burn it overnight, then package the remnants into sacks. Three days of preparation. The other four days of the week Chelimo sold the charcoal -- either door to door or from her house -- for 50 shillings, approximately 50 cents. On a good day, she'd make $3, but earned $1 on average. "I can say all of this with a smile now, but those days were hard," Chelimo said. She had moderate success in a few cross country races. The prize money allowed Chelimo to save enough to pay for a passport, a gateway to competing internationally. Life started to shift when Chelimo lined up for her first international race in Spain, the 2011 Orihuela Half-Marathon. She placed third in 1 hour and 15 minutes. Chelimo expected that race to be her last half-marathon. Too physically taxing, she remembers, and her mind wasn't strong enough to handle it. Or so she thought. Chelimo remained in Spain for two months in an effort to capitalize on racing as much as she could. After she returned home, she gave half of her race earnings to her mother to pay for school fees for one of her sisters. "I was happy to support my family," she said. She put her remaining $500 toward training and staying afloat. The money allowed Chelimo to move into a better house, this one $15 a month. Chelimo unexpectedly got pregnant. When her then boyfriend found out, she said he kicked her out of the house. Chelimo relied on savings from race earnings to support herself and her soon-to-be baby girl, Ariana. After her daughter was born in May 2015, savings depleted, Chelimo's mother helped financially and with taking care of the baby. That allowed her to split her attention with training again. Her focus streamlined to how she could use running to support herself and her daughter -- and eventually the women and young girls in her village. Running, as she saw it, was and continues to be a path to something greater. "The situation [of having a baby] changed me completely. Now I want to empower others and learn to be independent," Chelimo said. She'd prove it by shaping herself into a half-marathon machine fast enough to clock under 1:07 six times. That includes achieving a personal best of 1:05:04 in Prague. After spotting her agent Michel Boeting at the finish line, Chelimo immediately declared that she needed more. Much more -- a marathon. Ever confident she can segue into the distance, Chelimo points to her numbers: 2017 Berlin Half in 68 minutes; 2017 Copenhagen Half in 66; twice winning the Boston Half (2017 and 18); fourth fastest in the world in 2018. As does Boeting. "Joan has the intelligence to adapt her training," he said. "Her foundation in shorter distances is good, and with a 65-minute personal best, she's a potential sub-2:20 runner. She can be a factor in big races." The women's world record for the marathon is 2:15:25, set by Brit Paula Radcliffe in 2003. Behind her is Kenyan Mary Keitany -- the world-record holder in a women-only marathon, having won the 2017 London Marathon in a time of 2:17:01 and a four-time New York City Marathon champion. Chelimo hopes to save enough money from race earnings to help improve the water distribution system in her village. "It really motivates me and gives me confidence," Chelimo said of Keitany's success. "I learned in this sport you have to be patient about what you want." For Chelimo, running a fast time or becoming more recognized are just residual effects from chasing what she's really after: to earn a living through running to help better the circumstances of those in her village. These days, the water isn't sourced through buckets lugged from the river, but through boreholes, narrow holes in the ground that were installed a few years ago, Chelimo said. It's a manual process to retrieve the water -- a bucket and a rope dipped underground, she said. But in the future, things will be different, she added. When Chelimo saves enough money from race earnings, she wants to help improve the system so that every home in the village can have piped water. Chelimo said of the idea, "I give back however I can so the next generation, women especially, can have a better life. The whole community, the whole village will change." That is what ignites her feet when lactic acid fills her thin, sinewy calves after charging uphill around a rust-colored dirt path known as the Boston Loop back home. 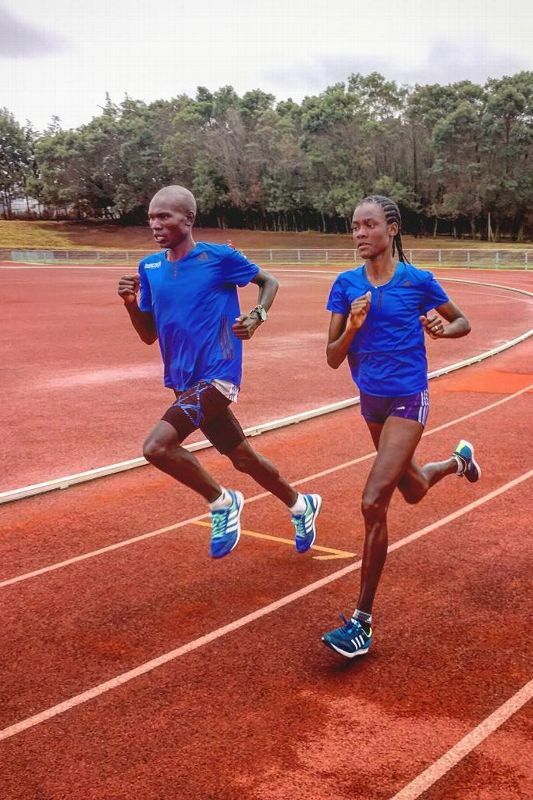 And when Chelimo's legs aggressively kick up the sedona-colored dirt of Tambach Track when she's speed training. And when she runs in Singore Forest, alone with her thoughts and the sound of her breath. Week after week, logging up to 118 miles in preparation. When Chelimo lines up for her next marathon, she'll think, "Yote yawezekana" -- the Swahili phrase, which translates as "All things are possible." Sarah Gearhart is a New York City-based sports journalist. Her work has appeared in USA TODAY Sports, the Wall Street Journal, Runner's World, ESPN, Outside Magazine and Vice Sports. 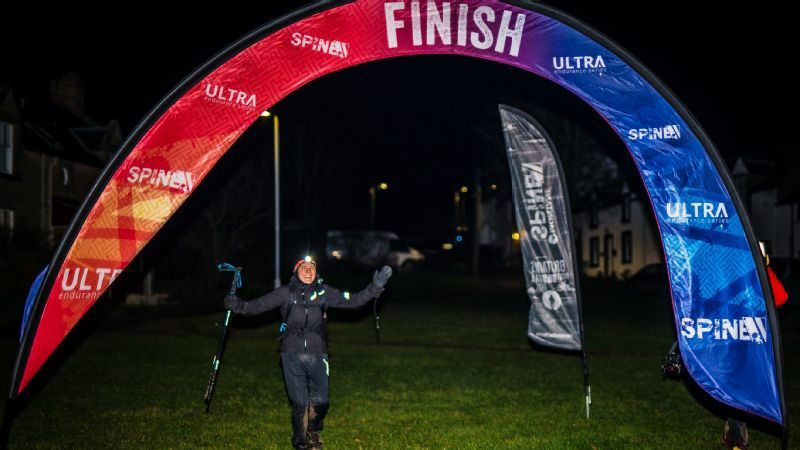 An avid runner for 19 years, she is a four-time Boston Marathon qualifier and has completed 13 marathons, achieving a personal best of 3 hours and 26 minutes at the 2017 Berlin Marathon. She has authored four books, including three editions of "Outside/in" (Berlin, Boston and New York City) as well as "Unwrapped: Food & Stories From Chefs Who Run."